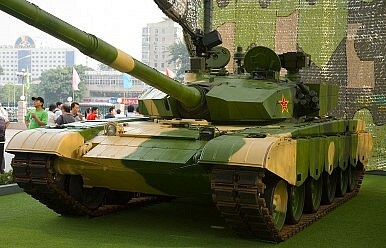 A Chinese Type 99 Main Battle Tank produced by the China North Industries Corporation (Norinco). “The founding of the committee is aimed to gather opinions and advice from leaders and experts in relevant military and civilian departments and units, and get external intellectual support for the strategic development and technological innovation of China’s defense industry,” said Xu Dazhe, the chairperson of the committee and head of SASTIND. He emphasized that despite progress in research and development, Beijing will have to make a concerted effort should it desire to catch up with the world’s leading exporters of high-tech military hardware. China remains technologically one to two generations behind its principal competitors (e.g., Russia, the United States, Germany etc.) in the global arms trade in producing sophisticated weaponry some studies argue. However, the report’s overall conclusions cast a dim light on the People’s Republic’s defense industry calling it a “deeply fragmented and flawed system” and singles out five major impediments that would need to be address should China want to become a leading producer of high-tech weaponry. “A fourth serious weakness is the lack of a transparent pricing system for weapons and other military equipment, representing a lack of trust between the PLA and defense industry,” the RAND study notes. Last, endemic corruption is cited as an additional factor undermining the industry although the report emphasizes “that that the extent of the problem is not known” due to absence of public reporting on the subject. An analysis by IHS Jane’s Defence Weekly reinforces the RAND study’s conclusions by noting that any initiative to reform the defense will be ineffective “without significant restructuring of the country’s systems for defense development and production.” China, it seems, will still have a long way to go in order to become a leading country in the production of high-tech weaponry, despite clever marketing ploys by some of its companies (see: “Can This Chinese Tank Beat Russia’s T-14 Armata?”). A Chinese company claimed on 15 October that it had successfully tested a new supersonic cruise missile intended for export.